Does GDP growth matter in state elections? A statistical exercise by this newspaper some years ago suggested that if average GDP growth during the incumbent’s rule accelerated compared with the five previous years, there was a 60% chance the incumbent would be re-elected. So, GDP acceleration or deceleration is a partial indicator of electoral outcomes, but not a very strong one. It can be swamped by other factors in 40% of cases. Consider the two big states going to the polls, West Bengal and Tamil Nadu. The ministry of statistics has changed its method of calculating GDP, and also changed its weights from the 2004-05 series to the 2011-12 series. No data are available for West Bengal for the 2011-12 series. So, the accompanying table uses the data from the 2004-05 series, with all its shortcomings. GDP growth in West Bengal decelerated slightly in the first four years of Mamata Banerjee’s rule to 6.57% per year, down from 6.85% during five years of Left Front rule. However, national GDP growth decelerated from 8.6% to 6.6% in the two periods, so West Bengal withstood the downswing better than all-India. What about Mamata’s fifth year, 2016-17? West Bengal finance minister Amit Mitra claims a whopping growth rate of 12%. The Union ministry of statistics has given no estimates yet. Dr Mitra’s figure should be taken with a pinch of salt. But if it’s anywhere near true, it means Mamata’s term has ended with an economic bang, and her fiveyear average will be 7.44%, beating the Left Front’s 6.85%. That’s electorally positive for her. During both Left Front rule and most of Mamata’s years, the state’s growth rate was below the national average. But Amit Mitra claims that in 2015-16, West Bengal’s rate was far ahead of the national average. Tamil Nadu, on the other hand, has decelerated sharply in GDP under Jayalalithaa. In the earlier five years of DMK rule, between 2006-07 and 2011-12, the state’s GDP averaged a very good 10.15% growth rate, well above the national average of 8.6%. But in the first four years of Jayalalithaa’s rule, for which data are available, the growth rate fell to just 6.31%. Of course, the DMK ruled during the booming 2000s when all states boomed, so the comparison is not entirely fair. But note that in the DMK era, the state’s growth rate was well above the national 8.6%, whereas in the Jayalalithaa era, it has dipped below the national average. But if we shift to the 2011-12 series, Jayalalithaa has outperformed the national average, showing how tricky data interpretation can be. Growth does not automatically translate into votes. It depends on who gets the fruits of development, and how visible the gains are. In Tamil Nadu, the focus has always been on freebies, not the rate of growth. In West Bengal, which has long suffered from serious fiscal strains, the scope for giving goodies is limited, and freebies have been relatively minor issues. Mamata Bannerjee boasts of giving free bicycles to schoolgirls, and improving the access of the poor to health clinics. But this pales in comparison with the veritable cornucopia of freebies in Tamil Nadu. 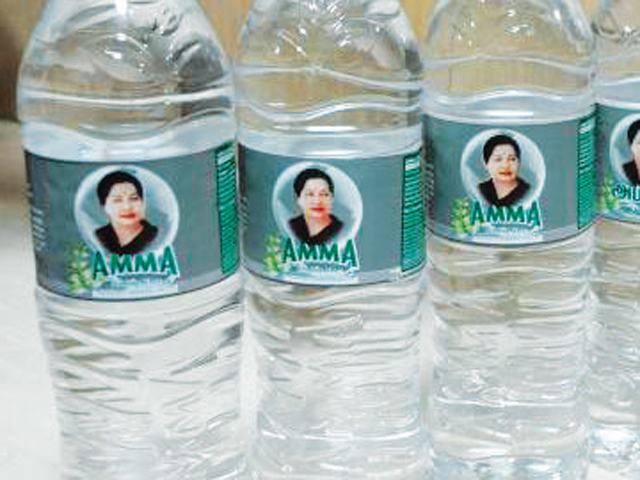 Here are the main freebies in Jayalalithaa’s election manifesto. Free cell phones for ration-card holders; free laptops with internet connections for 10th and 12th class students; maternity assistance of Rs 18,000; maternity leave increased from six to nine months; 100 free electricity units for households every two months; waiver of all farm loans (at a cost of Rs 40,000 crore); fisherfolk assistance to be hiked to Rs 5,000; women to get a 50% subsidy to buy mopeds or scooters; a free 8-gm gold coin for women getting married; a free Amma kit including sanitary napkins; and much more. Note that Jayalalithaa already provides 20 kg of free rice per family, a free mixer, grinder and fan per family, subsidised Amma kitchens, and subsidised goats or cows for rural families. The DMK has never been far behind in freebies. It was the first to offer free colour TV sets to voters. Can the cornucopia of freebies offered by Jayalalithaa will more than offset the electoral disadvantage flowing from a deceleration in GDP growth? Well, she has a reputation for living up to most election pledges. The DMK is still stuck with an image of high corruption, stemming from the 2G telecom scandal. Slowing growth will surely mean a fall in Jayalalithaa’s popular vote from 38.4% in 2011. But the Third Front in the state could take away 5-7% of the vote, and split the anti-incumbent vote, to the DMK’s cost. So, even with a significant fall in vote share, Jayalalithaa looks formidable. Making predictions is a mug’s game. But let me stick my neck out and predict an easy victory for Mamata, and a marginal one for Jayalalithaa.